Want to buy a Brisbane apartment? They just got $100,000 more expensive ..!! THE price of a new apartment in Brisbane is now at least $100,000 more expensive than it was only three months ago, surging to its highest level since before the global financial crisis. A new report from Place reveals the average sale price of a unit in the city during the September quarter was $790,489 — up 17 per cent on the previous quarter — driven by owner-occupier demand for high quality apartments. And sales have also more than doubled in that time, as the appetite for apartment living increases. The report found 368 apartments were sold during the three months to the end of September, totalling around $291 million. 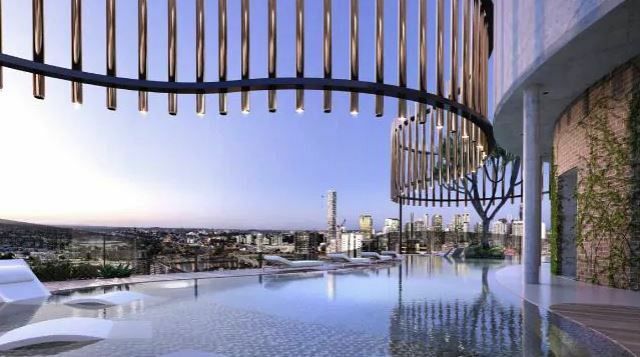 Many of these sales were in one development — ‘The Standard’ by Aria Property Group in South Brisbane, which accounted for 234 apartment sales during the quarter. Only 15 apartments remain for sale in the project, with a total of 94 per cent now sold. Place residential research director Lachlan Walker said despite the strong sales and prices achieved, the inner Brisbane apartment market continued to be affected by tight lending conditions. “However, with future new supply being constrained to low levels, purchaser demand continues to steadily absorb available stock,” Mr Walker said. The number of new apartment projects being marketed in inner Brisbane continues to decline, with only 51 units being sold off-the-plan in the September quarter — down 10 per cent from the previous quarter. Mr Walker said that if sales volumes were to remain at current levels, all available supply would be absorbed by the end of 2019. Of the 8,433 new apartments currently in the market, the Place report found 79 per cent have been purchased and 45 per cent have recently completed construction. By the end of this year, 59 per cent of all available off-the-plan product will have been built, increasing to 86 per cent by the end of 2019 and 100 per cent during 2020. As much as 60 per cent of the future apartment pipeline is currently deferred or abandoned and this continues to consistently increase each quarter. Two-bedroom apartments priced between $750,000 and $900,000 accounted for the most sales during the September quarter. Independent consultancy Urbis recently put out its own Brisbane apartment report for the third quarter, which found interstate investors were driving the recovery in the market, making up 54 per cent of all sales. Urbis director Paul Riga said stable prices, tightening vacancy rates and relatively strong yields had been key attractions for investors. Mr Riga said the Brisbane unit market had been “resilient” in the face of oversupply fears. The research comes as new figures from the Australian Bureau of Statistics released by Commsec this week revealed the average home size is shrinking due to the rise of apartments, with around half (46 per cent) of all residential buildings being units. CommSec chief economist Craig James said increasing demand for apartments and townhouses in desirable areas of Sydney, Melbourne and Brisbane was helping to push down average floor sizes. - ‘Skytower’ recorded the most sales, with five apartments being sold off-the-plan during the quarter 2018. The other remaining two sales occurred in ‘Mary Lane’. - There are 268 new apartments for sales throughout the CBD precinct. - There are 699 new apartments for sale throughout the precinct. - The majority of sales were between $750,000 and $900,000. - 772 apartments remain available for sale throughout the inner south precinct.